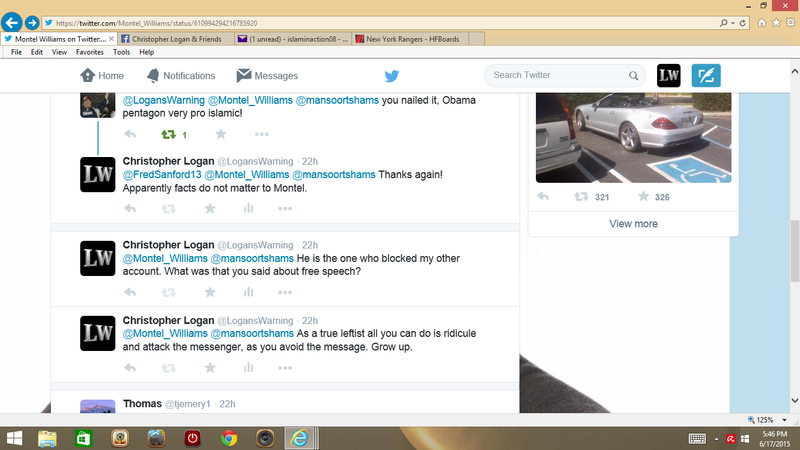 Montel Williams vs. Logan’s Warning! 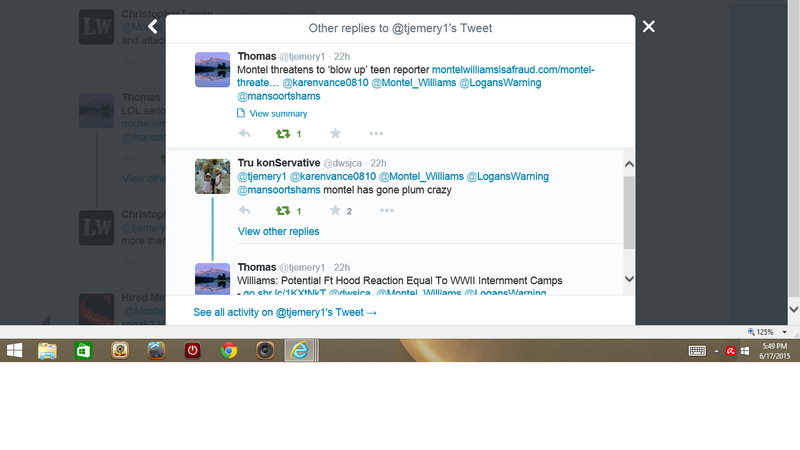 by admin • June 29, 2015 • Comments Off on Montel Williams vs. Logan’s Warning! 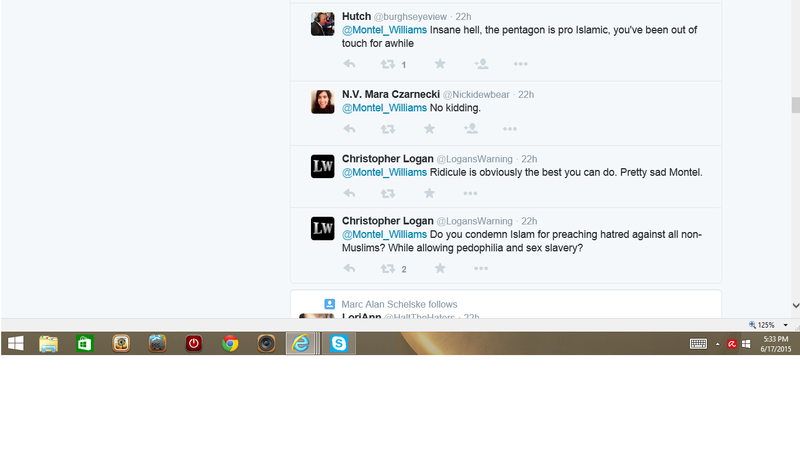 In a recent Logan’s Warning article I had exposed the fact that Pamela Geller’s adversary, “Muslim Marine” (MM), was just another Muslim propagandist who is attempting to mislead the country on Islam. 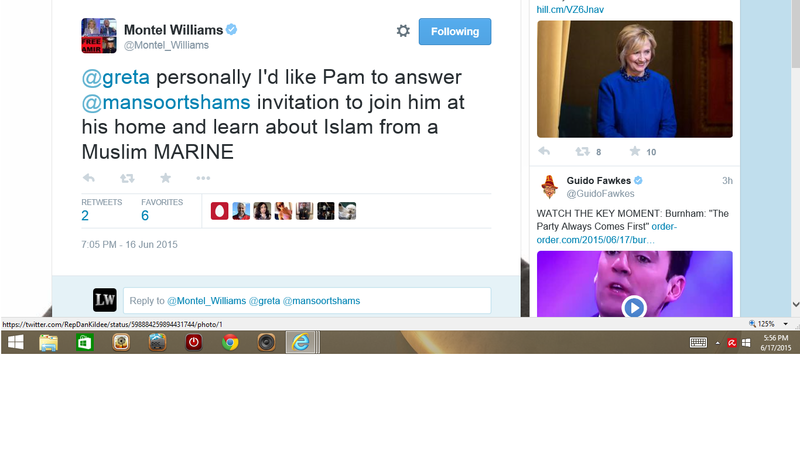 Part of his con is to try and paint Pamela the “bad guy” for pointing out the hatred within Islam. 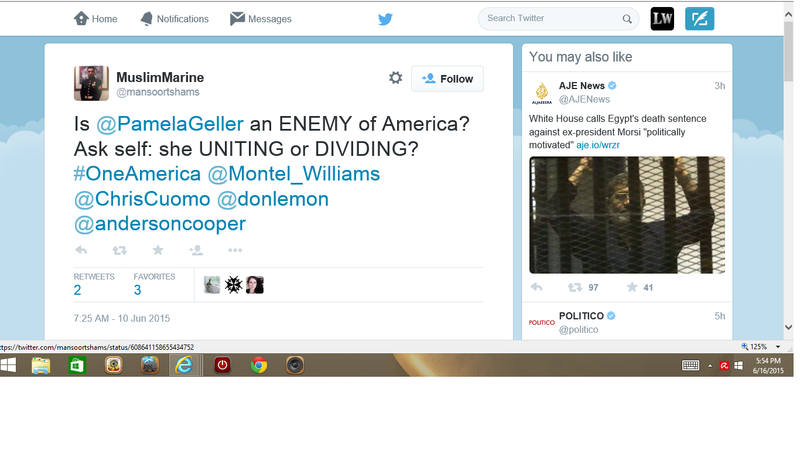 Implying that Islam is not what divides, Pamela is what divides. 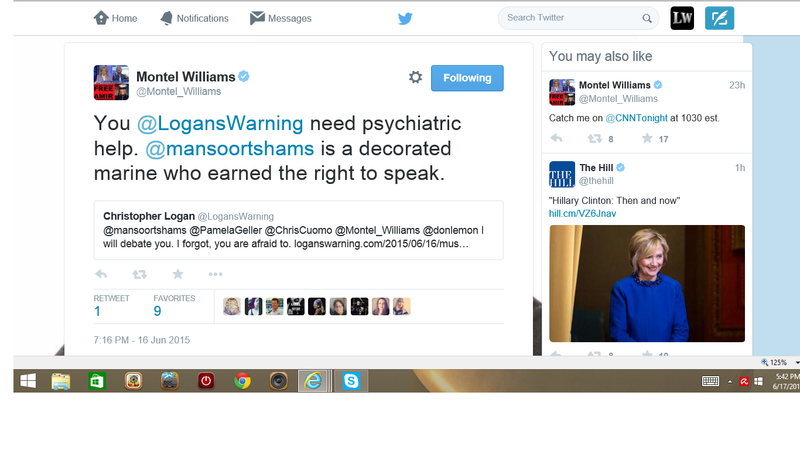 MM is so threatened by her truths on Islam that he tries to discredit her in front of prominent media personalities such as Anderson Cooper, and Montel Williams. 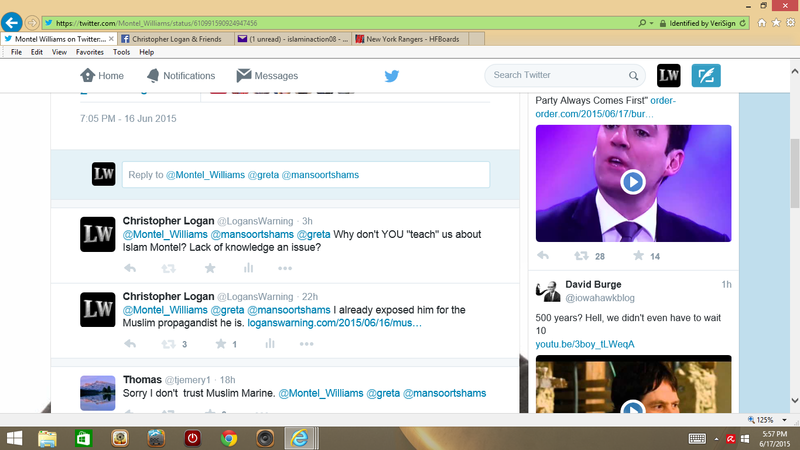 After I challenged MM to a debate Islam he took the easy way out and blocked me. 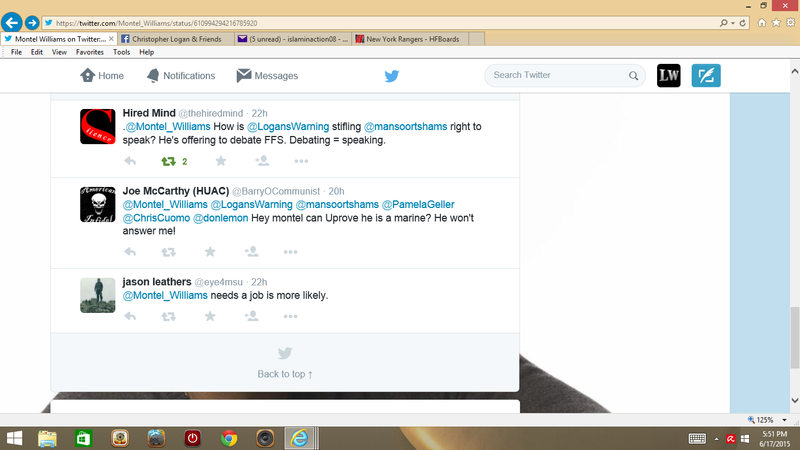 Only proving my point about him. But the battle was not over yet! 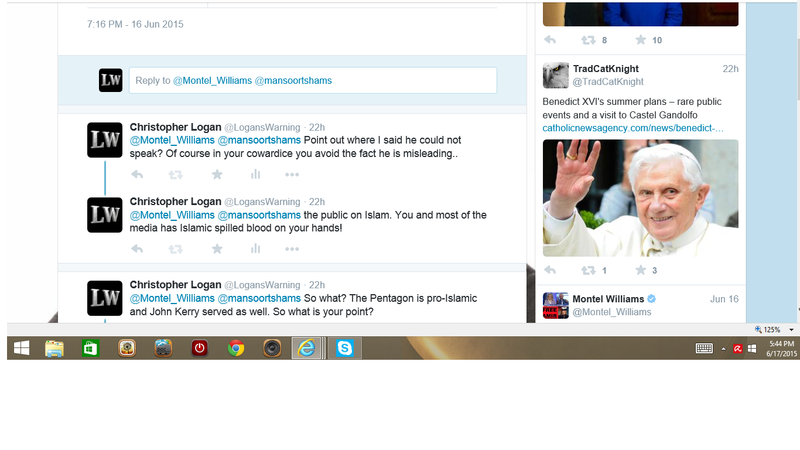 From there media personality and protector of Islam, Montel Williams, decided to jump in. 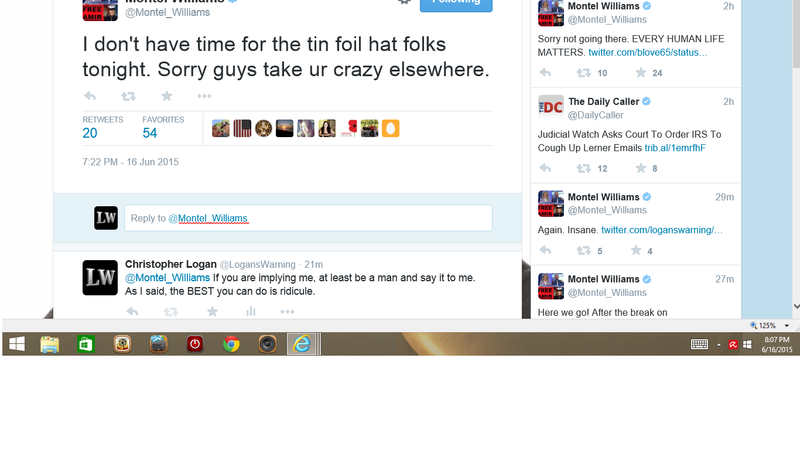 Besides the personal attack Montel did not even make sense, and this was quickly picked up by Hired Mind. As you can see, Fred Sanford and Hutch tried to talk sense to Montel. But he isn’t interested in facts. He is only interested in burying his head in the sand on this issue. 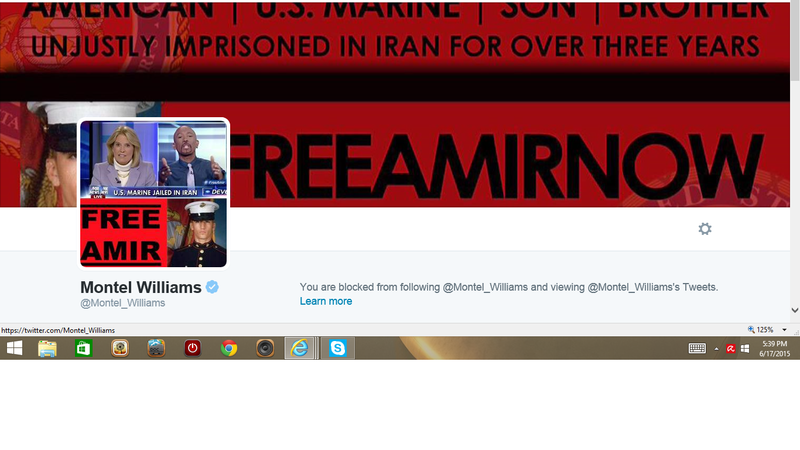 The conversation becomes one sided as Montel exits the building. Thomas shows the readers who the insane one really is. 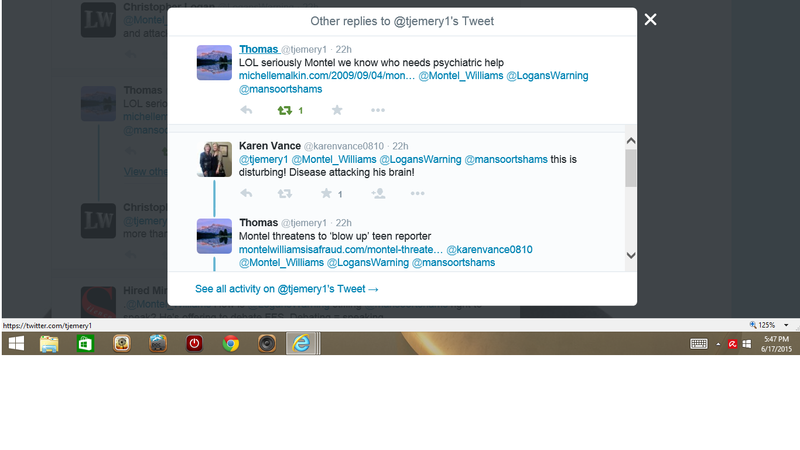 Montel continues to blindly support MM, as he runs from facts and questions. 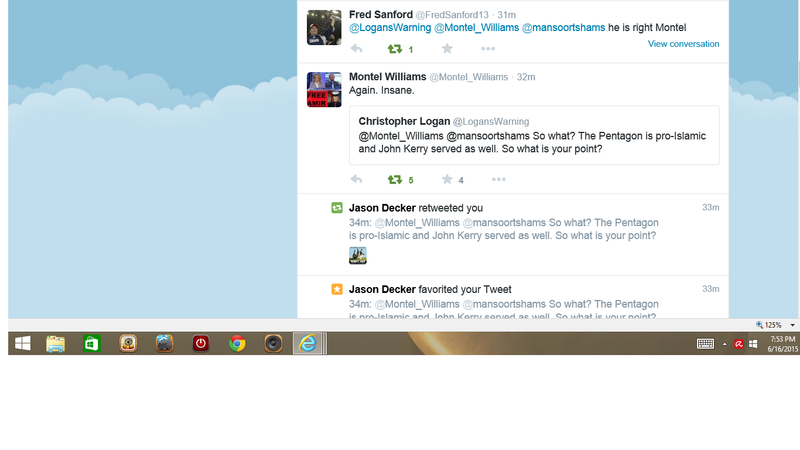 Of course Montel could not respond to my question. 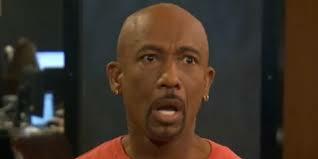 Montel returns: After another personal attack, Montel locks the door. ← North American Infidels Hits New Twitter Highs! !